I consider myself a tough mother. 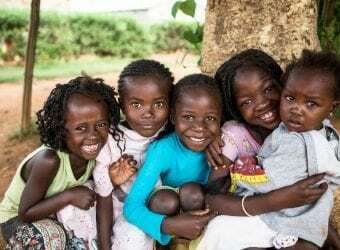 I have been through a lot with my three children. One was born six weeks early and spent several weeks in the hospital. Another spent a week in the hospital for stomach troubles. Finally, my third child had open heart surgery plus another surgery within the first four months of her life. I am a tough mother to three tough children. 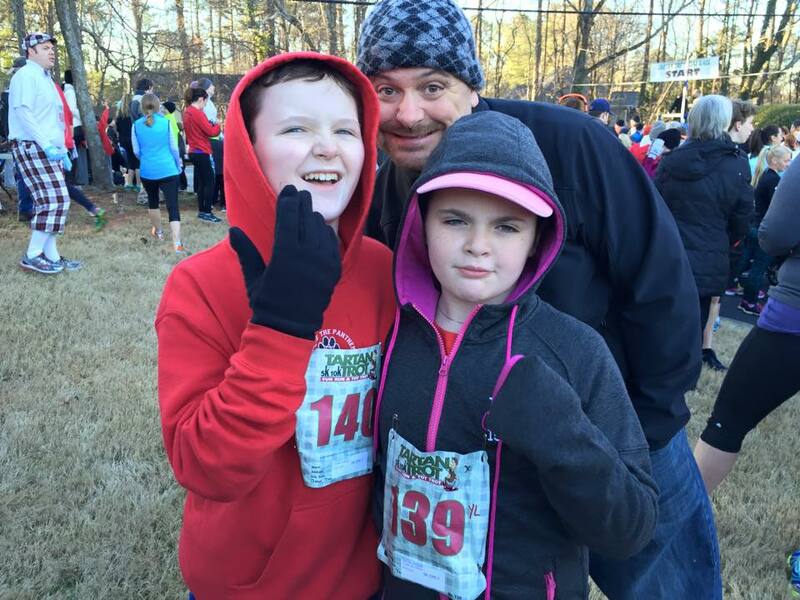 We just started doing 5K runs as a family. Our goal is one per month and we are having a great time together. I’m a big fan of all things Ziploc® brand. So one of the ways I make my life easier is by using new Ziploc® brand bags with Easy Open Tabs. What keeps me organized is putting everyone’s race day t-shirts and other essentials like clean socks, safety pins for the number, sunscreen, etc. into bags labeled for each person. After the race, especially the ones that involve color or foam, my kids change clothes before they get in the car. All of their post-race clothes are waiting for them in labeled Ziploc® brand bags with Easy Open Tabs. The tabs are not only easy to grip and open, they are color-coded, which helps me stay organized after a messy event. New Ziploc® brand bags with Easy Open Tabs are the same quality expected from Ziploc® brand, but with an added tab, making them easy to grip and easy to open. You can buy these bags in freezer, storage, sandwich and snack varieties. New Ziploc® brand bags with Easy Open Tabs can store fruits, meat, craft materials, school supplies, and other household items. 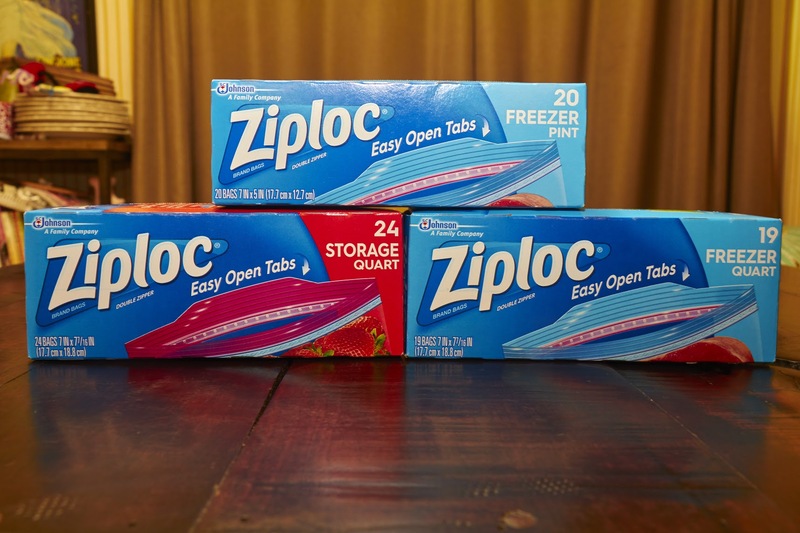 Celebrating the launch of Easy Open Tabs, Ziploc® brand is partnering with the most challenging event around, Tough Mudder, in honor of moms who are taking on a whole new level of strength. If you haven’t checked out the Tough Mudder, you should! Tough Mudder is a team-oriented 10-12 mile (18-20 km) obstacle course designed to test physical strength and mental grit. Tough Mudder puts camaraderie over finisher rankings and is not a timed race but a team challenge that allows participants to experience exhilarating, yet safe, world-class obstacles they won't find anywhere else. I am thrilled to work with Ziploc® brand on “Team Tough Mother.” This team is made up of national and local influencers participating in Tough Mudder events to honor tough mothers everywhere. Ziploc® brand bags with Easy Open Tabs are available at every Tough Mudder bag drop so participants can store their gear during and after each event. How great is that? For a complete list of Tough Mudder events, visit toughmudder.com/events. I only buy Ziploc brand bags. I know they won’t break on me and that is HUGE. I’ve always got a box or two of zip lock bags around. I use them for so many different things–and what i really like–they can be rinsed out-dried and then reused once again!! I’m such a huge food organizer. Ziploc bags are staples in both my freezer and my fridge. I don’t know how people (moms especially) lived before ziploc bags! They are so handy and versatile. I love Ziploc bags! I use mine all the time when we travel to pack and bring things back. My husband teases me that I should invest in Ziploc because I buy it all the time and use it for everything – packing, sorting things away, etc. It’s my O.C.D. tool and I love it! Haha! Thanks for sharing their easy open tabs! Ziploc brand is the best kind of ziplock bag on the market. I prefer using them over any other brand out there. We travel and move a lot and Ziplocs are my savior. I have them in all sizes even the packing kind. You can use them anywhere! Oh, Ziploc, how I love you! I have no idea what I would do without the ability to organize all of my family’s stuff into clear plastic bags. Awww man this is here in Chicago this weekend and I am missing it. I have been trying to get more active and I would have loved to participated as a toughmudder…lol. Ziploc is all I use when I make my freezer meals! Tough Mudder? Just the name scares me! I applaud your family on your running together. You’re building great memories and I’m so glad your three kids are doing well. All six of ours have scared the piss out of me several times with illnesses and injuries. Oh, wait..this was about ziploc, not our kids 😉 Yeah, ziploc rocks and I use them all the time! I always buy Ziploc, it’s also the only freezer brand I buy. I store a lot of meat because I have a big family and when I buy I usually separate and stock away. Ziploc has never failed me. Ziplock bags are fantastic. I keep a few extras in my purse; they come in handy for storing soaked items (we’re currently potty training my toddler). I love ziploc bags, I use them to seal off all my food to keep them fresh! I only use ziplocks. They are amazing and no leakage. Lifesaver and lets me do food prep. It’s so great that you have established a goal as a family. Running is a good way to spend time with kids. This is also an excellent exercise together. I love ziploc bags especially when traveling. It’s so handy and is always a must on my shopping list! Too bad we rarely have a ziploc kind of bags here with us.. its super useful and can be use in various things. Love ziploc! Durable and a decent price so it’s all I buy. When we go to the park I usually use Tupperware but for some things ziploc is just needed! I have so many uses for my Zip Lock bags. They make organizing so easy. Great for snacks to. I have been using Zip Lock bags for years. They never let me down. I know when it is zipped it stays shut. Ziploc is totally great; I agree! I’m using some this week for a special project. I think the Tough Mudder obstacle course really does sound so fun. I’d love that, but I might be getting too old for it now. I’ve been using these for years and wouldn’t trust any other brand! I’ve been really loving the new easy open tabs – it’s a small change but makes such a difference! We always have our zipped baggies on hand! I use them for freezer recipes a lot. Very helpful to have. We love the ZipLoc brand and use them all the time. They are very durable and work really good. 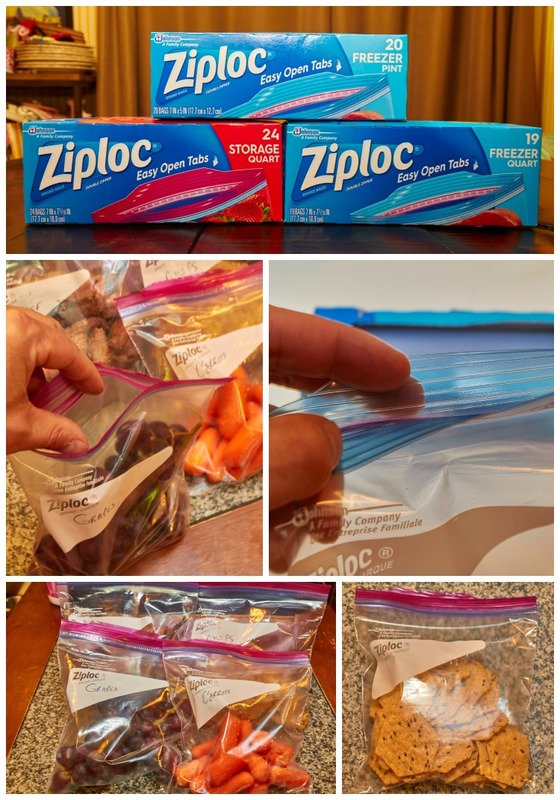 I love using Ziploc bags for snacks on the go or those that I want to freeze. They’re durable and locks tightly. You ARE one tough mother! And I love Ziplocs, too. My favorite uses for them are we we travel. I’m always amazed at how many different ways Ziplocs have saved the day when we’re away from home! I love Ziplock brand products. I love knowing that my bags will stay closed and I don’t have to worry about leaks! Ziploc is a vital part of my kitchen. I have tried the non-brand baggies before and it’s always a mess and disaster, from now on I stick to only Ziploc. Love Ziploc bags! I used them in the kitchen and beyond for organization! I always take them with me for the kids’ dirty /soiled things and they are great for travel packing too! I am a huge proponent of the Ziploc brand because they are tough and always close up. I think I am a pretty tough mother! You need to be when you have a special needs kid. Don’t you just love Ziplock bags!! I use them for all kinds of random things. They really come in handy. We use ziloc bags for everything. Around the house, on vacation, in the yard, for school, I could go on and on. We trust this brand over the generic brands as they are just made better. 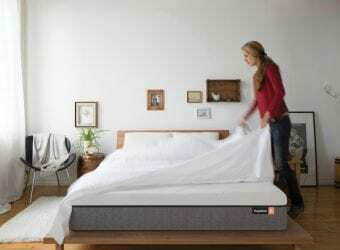 Tougher and more durable. Great post. We love Ziploc here at home, it’s also one favorite brand in school for their suupplies. Ziploc has made my life 1000% easier. We use it for everything from food to toys. Must be they have been following me. My grandpa taught me this trick years ago for backpacking and it was great in the Army for ruck marches also. Guys laughed at me every time I’d do it until we got stuck in a Louisiana rainstorm the first time and their gear tripled in weight. Oh yea, they’re good for food also…. I use these all the time. I’ve bought off brand before, but the Ziploc brand is the best! Love Ziploc bags I use them for so many different things I cannot begin to tell you. From sorting make-up, medicine, jewelry to leftovers and I cut up veggies ahead of time to use for suppers for the week. We love fresh veggies. So I keep them nice and fresh with Ziploc.